Every artist has her muse. Mine happens to be loud. The first song I heard by Breaking Benjamin was Breath from 2006. I play the song over and over, often five times in a row at the office, as I plod through Excel sheets. I only force myself to stop because I think its getting excessive – not because I get tired of the song. How did this happen? I used to listen to ballads. Olivia Newton-John. The Carpenters. Richard Marx. I'm not kidding. It's like I've been turned to the Dark Side, except I'm smiling just thinking about it. So why are the music and lyrics so infinitely inspiring to me? A few weeks ago, I told my husband I could turn every Breaking Benjamin song into a novel. Maybe I was exaggerating. But So Cold and Diary of Jane have both inspired plots for novels. Breath birthed a scene, as did Forever and Rain. Lines from Anthem of the Angels inspired two completely different scenes in two completely different stories. My life does not revolve around this band. I find inspiration in other music. Skillet sparked a story about a demon. Shinedown inspired some individual scenes. But nothing gets into my soul like Breaking Benjamin. 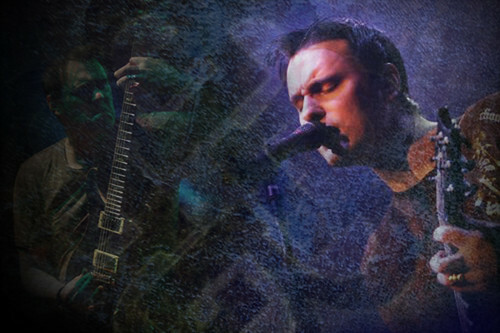 Here's the downside to my love of the band: Breaking Benjamin is on hold indefinitely. I'm going through withdrawal while the band deals with illness and inner dramas that may never be solved. For now, I have forty-seven songs to keep me going. Maybe I'll find myself a new muse someday, but for now, the one I have is the one I love.